Willow knows she’s different, because Willow has a gift. She can look into people’s future just by touching them. She has no idea where she gets this power from… But Alex does. Gorgeous, mysterious Alex knows Willow’s secret and is on a mission to stop her. In spite of himself, Alex finds he is falling in love with his sworn enemy. In a tale that spans a continent, L. A. Weatherly creates a fascinating thriller. She skilfully guides the readers’ imagination to reinforce a plot that surprises and enthralls from the start. From a seemingly innocent beginning Willow learns uncomfortable truths about herself when Alex is sent to her. Appearances are continually deceptive, but the reader is drawn in until the right time in the story for the next turn. The development of the story is extremely credible in this interesting fantasy novel. The first book in a trilogy, ‘Angel’ has set the scene for the next two installments that will, if they follow the same drama and pace, become young adults’ classics for many years to come. I loved this book! I couldn’t put it down from start to finish, and even started reading it again. Some parts made me smile and some made me sit on the edge of my seat. My friends all tell me how much they also loved it and we all discuss it at school. It is such an amazing read that I would suggest everybody to read it! Can’t wait for the sequel. Thank you L. A. Weatherly! Powerful. Romantic. Magical. Mystery. Danger. Everything I dream of in a book. I thought that the book sounded good just from the cover. I know that they say don’t judge a book by its cover but I’m glad I picked it up. I started reading this book whilst I was on holiday and got sucked straight in. I kept getting told off because I was picking up the book every time I got a chance. I love Willow’s character and feel like I can relate to her a lot of the time. I wish I could read the second and third books straight away but I suppose that’s my fault for picking up the book before any of the others had come out. The author is very talented and anyone in their right mind would love this book. I am not religious and I don’t believe in angels but in this book it was like they were meant to be. Thank you L. A. Weatherly for showing everybody your amazing book and making it come alive! This will draw you in from the very first chapter and by the end you will definitely be left longing for more! I couldn’t put it down and think this is the quickest I have read a book in my life. Highly recommend; 10 out of 10. This book could not be any more astonishing. From the first page I was completly overwhelmed, obsessed and jealous of L.A Weatherly for writing one of the best books I have ever read. To be captived and breathless in a book like this was just what I was looking for. Never again will I be able to read a book this compelling. Suspense, drama and romance, Angel has it all. From the opening chapter, I was gripped. From the start, I liked the main characters, Alex and Willow and found them both to be totally believable. As the road trip story progresses, the adventure and tension builds, along with their relationship with each other. It all moves at a good pace, and every chapter leaves you wanting more. Both the romance and the action are interwoven brilliantly, as neither one overshadows the other and both are entirely relevant to the storyline as a whole. I found the writing really brought the tale to life, as it was as vivid and clear in my mind’s eye to me as if I’d watched it as a film. An extremely compelling idea, so rich and deep and thrilling. The world of the book is dark and exciting. The characters are brilliantly drawn, the style will appeal enormously to the Twilight generation and the plot is fantastically full of suspense, drama – and romance! A powerful, dark and hugely inventive thriller that burrows beneath the reader’s skin. The charged relationship between Alex and Willow in this electrifying novel makes a lasting impression, a must read for 2010. I’ve known Alex for a long time. He first came to me as a character almost twenty years ago, when he was a thief in a fantasy setting – an expert with knives rather than guns. Nothing came of that particular novel, but Alex always stayed with me. He refused to go away, in fact! And over the years, I began to wonder about redoing his story completely, and placing him in a contemporary setting. Willow came to me at the same time that Alex first did – her name was Jhia at that point – but she didn’t feel fully formed until I started thinking about a contemporary storyline. Then her name changed to Willow, and I realised that not only was she psychic, but that she loved tinkering around with cars. Once I had that, I had the rough premise of the story: suddenly I knew that Willow had psychically seen something that she shouldn’t have, and Alex was the teenaged hit man hired to kill her. The two of them join forces instead, and fall in love. I loved the feel of this, but that was as far as I got for several years. Though I kept writing snippets of the story (it nagged and nagged at me, really wanting to be told! ), I knew that the premise as it stood wouldn’t work. If Alex was a real-life hit man, then a happy ending wouldn’t be very likely! And I like happy endings. I wanted this to be an action-packed, epic story, but also essentially a romance. So, the story stayed in the wardrobe of my mind for a long time – taken out occasionally to think about, but nothing more. Then in a bookstore one day, I saw a display of non-fiction books about angels. Rather than focusing on the religious aspects of angels, these books were about something more: the idea of angels as very personal helpers to humans, friendly beings who you could call on for anything from helping you find a parking space to saving your life. What if angels weren’t really what they seemed? What if we only thought they were kind, but in fact they had their own agenda? What if they were really beings to be feared, instead of admired? With one of those almost-audible clicks that writers sometimes get, the two story ideas came together into a glorious whole. Suddenly I knew that Alex was an angel killer, and that Willow was a half-angel. Angel happened quite quickly after that; it seemed to write itself. 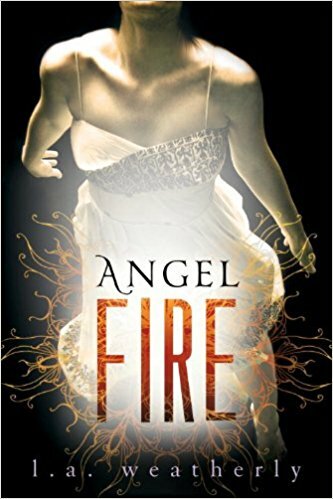 Writers aren’t supposed to have favourites of their own books, but Angel is very special to me … I’ve known and loved the characters for a long time. Angels are all around us: the most beautiful creatures not of this earth. But what if they’re not what they seem – and are slowly destroying humanity? Alex is an Angel Killer, one of the few who knows the truth. Willow is a half angel. The last thing they should do is fall in love... but they do. Enter the world of Angel – romantic, epic, exciting. Is Alex based on anyone you know? How many Angel books are there? 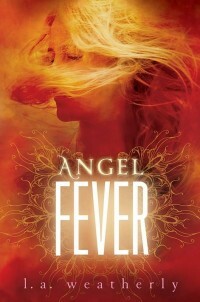 Online, I can see Angel, Angel Burn, Angel Fire and Angel Fever. There are three Angel books. 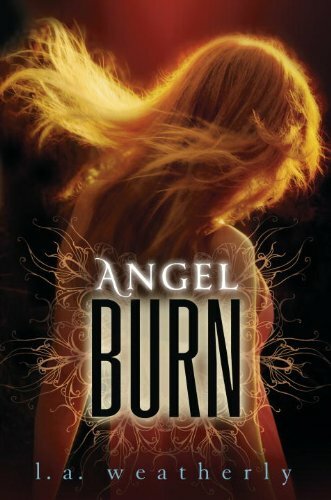 The first one is titled “Angel” in the UK and “Angel Burn” in the US. Sorry, I know it’s a little confusing. I heard there was going to be a film of Angel – any news on that? The series was under option for a while, but things didn’t pan out. Don’t worry, though – if it happens, I’ll definitely let everyone know! Why did you bring Seb into the series?! Seb’s had kind of a mixed reaction from readers – some love him, some hate him! I hadn’t originally planned on a love triangle, but when I was working out the storyline for Angel Fire I suddenly thought: what if Willow isn’t the only half angel? Sorry everyone, but I REALLY couldn’t resist the dramatic tension that introducing an attractive male half angel would bring. Because I’m evil like that. What do you think happens to Willow and Alex? They eventually get married and have two children: a boy named Martin Jake, called Jake (after Alex’s father and brother), and a girl named Miranda Jane (after both their mothers). Is Angel Fever really the last book in the series? For now, yes, though I wouldn’t rule out someday returning to this world. I had a lot of fun with it. Listen to the Angel / Angel Burn playlist here. Listen to the Angel Fire playlist here. Listen to the Angel Fever playlist here.